Silver byzantine torchon necklaces . Sterling silver women's jewelry for sale. Section dedicated to sterling silver necklaces, fancy chains designed and made completely by our company in Italy. Buy sterling silver jewelry directly from the factory, with an excellent weight/price/quality ratio. 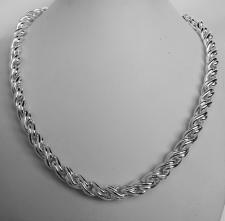 Sterling silver byzantine necklace 12mm. 117 grams. 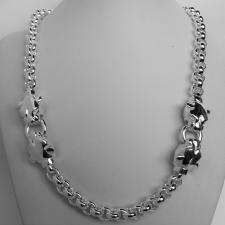 Sterling silver panther necklace. Round rolo link chain 9mm. 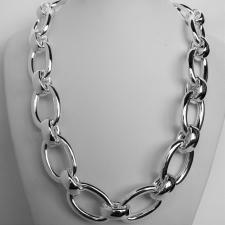 Women's 925 Italy silver necklace. 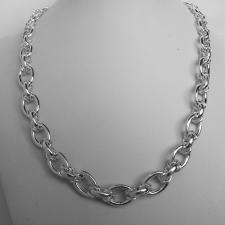 Oval & double oval link chain 16mm. 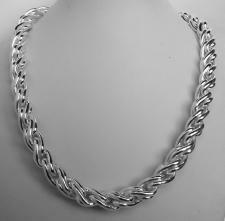 Sterling silver torchon link necklace 8mm. 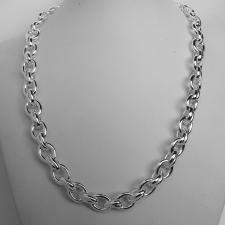 Women's 925 Italy silver necklace. 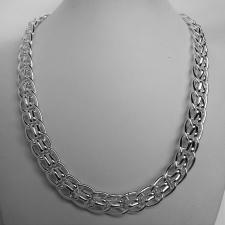 Oval & double oval link chain 9mm. Handmade sterling silver necklace. Double oval link 9mm. Handmade sterling silver necklace. Double oval link 7mm. 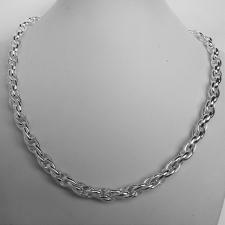 Sterling silver oval chain necklace 20mm. 130 grams. 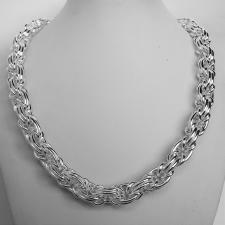 Solid sterling silver necklace. 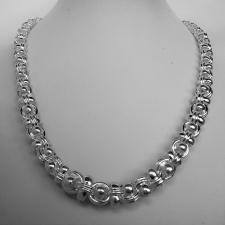 Women's, 925 Italy silver necklace. Four chains. 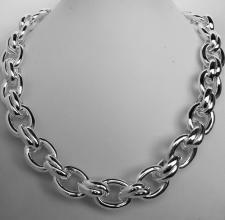 Sterling silver torchon link necklace 10mm. 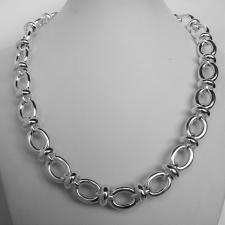 Sterling silver graduated oval link necklace 12mm - 8,50mm. Hollow chain. 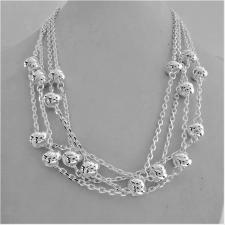 Solid 925 silver graduated necklace 12,6mm-7,3mm. Handmade solid chain 111 grams. 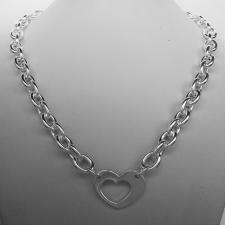 Sterling silver necklace with heart. 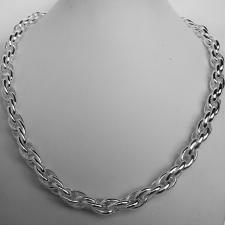 Oval link chain 9mm. Sterling silver handmade necklace 13mm.